"While I fully expect the hosts to improve under their new manager, it is going to take him some time to turn around their fortunes - especially the defence." 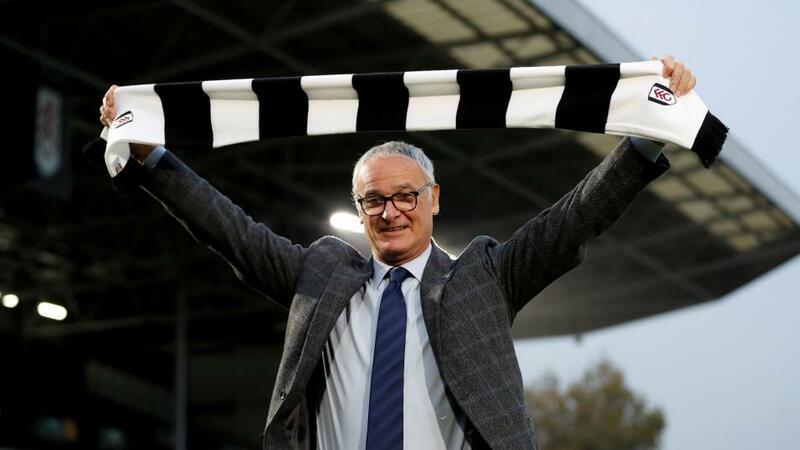 Fulham have looked a bit better under Claudio Ranieri and they will be aiming to make it back to back wins at Craven Cottage. The team is certainly looking a little more balanced than it was under Slaviša Jokanović, but there is still a long way to go if they are to survive their first season back in the Premier League. Sorting out the defence will be Ranieri's major priority as Opta tells us that they have shipped 35 goals in their 14 league games this season - only Barnsley in 1997-98 (40) have conceded more at this stage of a Premier League campaign. Even in their victory over Southampton in Ranieri's first game in charge, they will conceded twice, and they again let in two goals in their 2-0 defeat at Stamford Bridge on Sunday. It will be interesting to see if the manager is given much money to invest in January, as they already spent a lot in the summer, but even if not, the argument could be made that they have the personnel to avoid relegation. The Foxes are unbeaten in six and they put in one of their best performances in a while in their 2-0 victory over Watford on Saturday. Claude Puel's men were pretty dominant, and it was another clean sheet - their fourth in five in all competitions. Leicester are now up to eighth in the league - before this round of fixtures - and they appear to be showing no ill-effects of what has happened off the pitch. Jamie Vardy has only started nine of their games this year, but he has still scored five times, and he netted in their last two in the league. Both of those were penalties, but I don't think a goal in open play is far off as he keeps making the runs and getting into the positions that he is renowned for. The visitors are the favourites for this clash but there isn't much in it according to the layers. An away win is trading at around the [2.52] mark, while Fulham are available to back at [3.05]. The draw is [3.5]. While I fully expect the hosts to improve under their new manager, it is going to take him some time to turn around their fortunes - especially the defence. Leicester are proving very tough to beat of late, and they put in their best performance in a while on Saturday. Assuming that Fulham to continue to play an open-style of football, Claude Puel's side could have a field day going forward, with Vardy in particular sure to relish the space in behind the backline. The Foxes have already recorded wins at Southampton, Newcastle and Cardiff this season, highlighting their ability to get the job done away from home against struggling opponents, while Fulham have lost three of their six at Craven Cottage. This one is all about goals for me and I'm not phased by the fact that Over 2.5 is [1.88] in the betting. It would have landed in four of Fulham's last five at home - in fact, over 4.5 backers would have been paid out in three of them - and that includes Ranieri's game in charge. The stats aren't quite as nice for Leicester, but it is worth noting that four of their seven away from the King Power have ended with three goals or more - and they are yet to fail to find the net themselves on their travels. There is no denying that they should get plenty of joy against this Fulham defence - especially if James Maddison shows his true form - but there also looks to be goals in this for the home side as well, which makes under 2.5 appear to be extremely stingy at [2.12]. The Betfair Sportsbook affords the opportunity to combine a few selections to make a same game multi, and my pick for this game is Leicester to win, both teams to score and Jamie Vardy to find the net. The odds on that are [6.36] and given how I've outlined the match above, I feel that it has a better chance of landing than the price on offer.